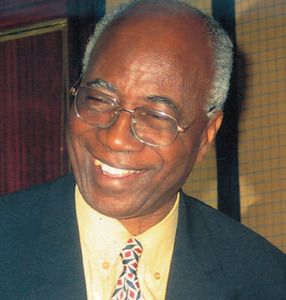 At 77, Emeritus Professor Oladipo Akinkugbe chronicles his footprints in nine fascinating chapters spanning his first five decades and in a formidable cluster of nine 'Connecting Dots'?an event-studded aftermath. He ends with an 'Update', a 'Family Portrait' and a few 'Named Lectures' illustrating Branding Time, Mapping the Menace of Corruption and The Wages of Curiosity. Akinkugbe's main turf is education and health, and he punctuates his rich harvest of experience with gripping anecdotes. He tells his story with unusual clarity and candour, and there cannot be many personal accounts that reflect achievements and challenges in such refined and graceful style. 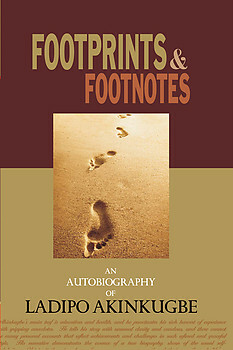 His narrative demonstrates the essence of a true biography, shorn of the usual self-adulation. Yet in it, there is a lesson for every age, a common thread that runs through life's yarn?undaunted, seizing the moment, positive thinking, mentoring, focus and sustained application. The author has used his opportunities of service in various capacities in public life, and in the corridors of power to address seminal and critical issues in health and higher education and influences them in a positive manner. The racy and engaging rendering of Akinkugbe's story attests to his facility of language and a robust intellect that combines sustained scholarship with disarming modesty. A compelling read. Professor Oladipo Olujimi Akinkugbe CFR, MD, D.Phil, FRCP, FWACP, FAS, NNOM, Officier de l'Ordre National de la Republique de Cote d'Ivoire, Emeritus Professor of Medicine, University of Ibadan, was born in Ondo on 17 July 1933. He attended Government College Ibadan (1946-51), University College Ibadan (now University of Ibadan) (1951-55), University of London (1955-58), University of Liverpool (1960), and Oxford University (1962-64). He became Professor of Medicine, University of Ibadan (1968); Dean of Medicine (1970-74); Visiting Professor of Medicine at Harvard (1974-75); Oxford (1981-82) and Cape Town (1995); Principal, then Vice Chancellor, University of Ilorin (1975-78); Vice Chancellor, Ahmadu Bello University (1978-79); Pro-Chancellor, University of Port Harcourt (1986-90); Foundation Chair, Joint Admissions and Matriculation Board (JAMB) and Chairman, Management Board, University College Hospital, Ibadan (2000-2003). He is a member of various international medical and scientific panels, and author of many papers on hypertension and renal diseases in national and international journals. In 1989 he received the Searle Distinguished Research Award for his contributions to hypertension in black populations and in 2004, the Boehringer Ingelheim Award of the International Society of Hypertension. He was made Hon. Fellow of Balliol College, Oxford University in 2009 and has Honorary Doctorate from six Nigerian universities, including Ibadan. He has also been conferred with traditional chieftaincy titles from Ile-Ife, Ondo, Ibadan and Ijebu-Igbo. He is married to Professor Folasade Akinkugbe (nee Dina) and they have two sons and three granddaughters including a set of twins.